The food and beverage industry must produce safe, high-quality foods and beverages for consumers. In addition to quality control, the manufacturing processes include many challenges such as managing ingredients, improving efficiency and handling global environmental issues. Yokogawa leverages its decades of technological expertise to help customers build and operate the ideal factory. Yokogawa helps leading-edge Beer Brewing plants through automation solutions that enable plant-wide integration and lifecycle optimization. Here is a quick list of Beer Brewing units and applications for which Yokogawa has a global network of experts at your service, providing comprehensive automation solutions. Yokogawa helps leading-edge Sugar Production plants through automation solutions that enable plant-wide integration and lifecycle optimization. Here is a quick list of Sugar Production units and applications for which Yokogawa has a global network of experts at your service, providing comprehensive automation solutions. Yokogawa has a wealth of experience within all areas of the Food and Beverage industry. We can work with you to find the perfect solution for your needs from beer to chocolate production. Shree Renuka Sugars Limited (SRSL) is a global agribusiness and bio-energy corporation. The company is one of the world’s largest sugar producers and refiners. The new package software running on the CENTUM CS 3000 has enabled flexible configuration and data settings for greater productivity. The CENTUM CS 3000 features a standard long-term trend function that can store a year's worth of data on more than 200 tags that are sampled at 2 minute intervals. 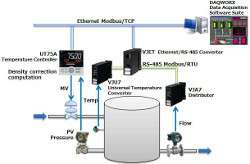 Yokogawa provided control solutions for expansion project in sugar and bio-energy plant. 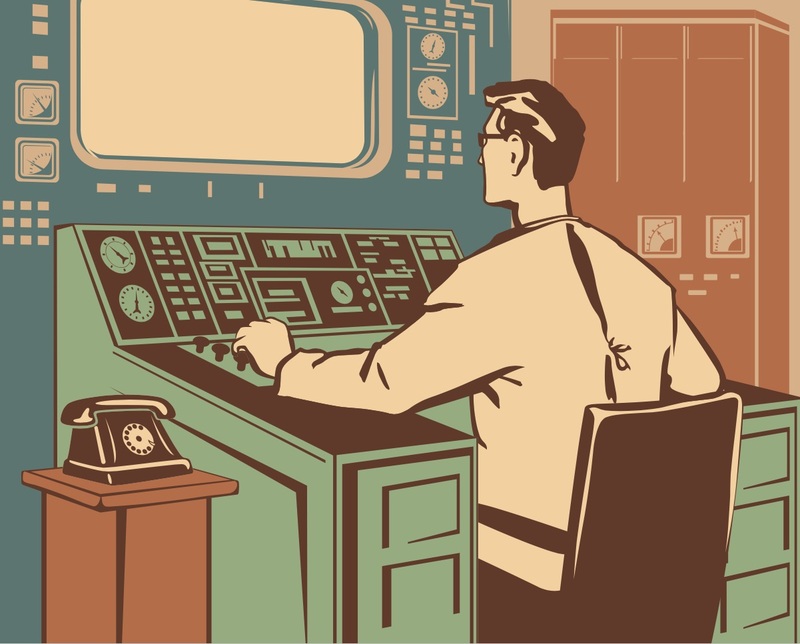 Consolidated central control room was designed for safe, comfortable, and efficient work environment. Peace River Citrus Products - Controlling a Proprietary Orange Juice Production Process / Peace River Citrus Products in U.S.A.
Yokogawa Electric Corporation has completed a unique control system project in Arcadia, Florida, which is located in the heart of a beautiful citrus-growing region. Peace River Citrus Products has installed a Yokogawa CENTUM CS 1000 R3 control system to control a proprietary orange juice production process at its citrus processing plant. Ajinomoto USA Inc. - A Trusted and Valued Supplier to Ajinomoto USA Inc.
S&B Sankyo uses the GX20 Paperless Recorder to monitor temperature and pressure in a food processing plant's sterilization process. Rousselot Ghent won Belgium Factory of the Future Award. 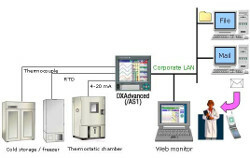 Yokogawa has supported Rousselot with automation systems since 1993. Data of 20,000 tags gathered by Exaquantum helped to find the ideal production parameters. For remote monitoring (of temperature, pressure, and flow volume), installing the MW100 in the plant and DXAdvanced in the office provides for a scalable, pc-free on-site data monitoring solution. 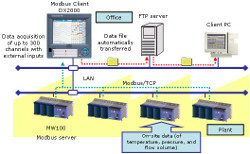 You can centralize managment of large quantities of data by automatically transferring acquired data to a FTP server. DXAdvanced records the clean room temperature, humidity, atmospheric pressure, door openings and closings, etc. In maintenance and servicing of in-service boiler equipment, you can remotely survey the conditions on-site beforehand to improve service. DXAdvanced comes with standard with e-mail, Web, FTP, and other functions allowing you to easily obtain on-site data. In semiconductor manufacturing processes, a deficient clean room environment can lead to defects and wasted resources, making a strictly controlled clean room indispensable. Maintaining the environment in the clean room requires control of air filters, HVAC systems, room temperature, humidity, airborne particles, and other factors. Milk should be processed within 4 to 6 hours of production to make it fit for human consumption. Temperature is a very important parameter which has to be monitored at different stages of milk processing. With advances in process automation comes a greater need for level measurement and control. As pressure on at the bottom surface of a liquid is proportional to the height of the liquid's surface, you can measure pressure using a differential pressure transmitter to detect the level of the liquid, acquire the data on the UT75A Digital Indicating Controller, and use the measurements to control the tank level. Yokogawa's ceramic liner can offer the customer superior resistance to thermal shock and the failure that can occur due to liner cracking. This is due to Yokogawa's use of 99.9% pure Al2O3 for the liner. 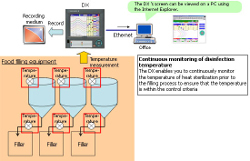 The paperless recorder DX series automatically calculate the Fo value from the heating temperature and are useful in managing the sterilization process by displaying and recording the value together with the heating temperature. One of the critical control points in the brewing process is the monitoring of the progress of the fermentation stage. The DM8 Vibration Type Liquid Density Meter offers high sensitivity and stability, realizes precise control, reduces workload, and reduces instrument costs. Skim milk is what remains after cream is removed from raw milk. Cream is removed to bring the fat content of the skim milk as close as possible to the lower limit of a designated range. For this purpose, control of the fat content in the cream and the skim milk is essential. The fat content in the cream and the milk has a direct relationship to their density and is controlled by the measurement thereof. In the food industry, the control of concentrations on the production line is critical to product quality, determining, among other things, how good the food tastes. One such procedure for doing this involves taking a sample from the production process and measuring its specific gravity (density) with a hydrometer. By using the Multibatch function (an option added with DXAdvanced R3), you can efficiently record data from multiple devices onto a single DXAdvanced. 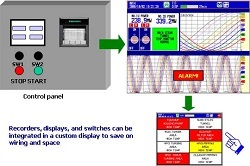 Using the custom display function that comes standard with DXAdvanced R3 means that you can combine the recorders, displays, and switches used in various kinds of equipment. 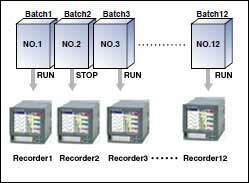 Using the batch name + lot number system, past measured data can be recalled for reference by batch name. Operations managers are notified in turn of the alarm by telephone. Universal inputs provide support for thermocouple, RTD, voltage, and a variety of other input signals. Lineup of models for up to 48 inputs. Allows multipoint monitoring and recording on a single unit. Easily enables network-based data management. Remote measurement of sterilization temperatures at each stage using the DX2000+MW100 The DX2000's external input function (/MC1) lets you add up to 240 external input channels. 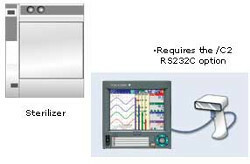 A computation option computes the "F-value," or sterilizing value for the sterilization process, so that the computation results can be recorded in the form of analog data. 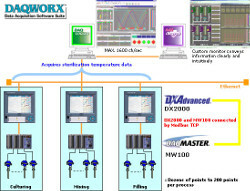 DAQWORX Data Acquisition Software Suite helps the administrative department collect and monitor data on each section of the factory, including data on the usage of chemicals, gas, and electricity. 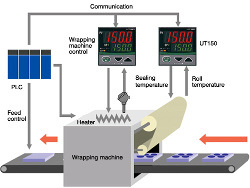 The sterilization temperature prior to the filling process is monitored in the field or office. The temperature data is recorded in an external storage medium. Temperature plays a key role in storage of Molasses to maintain the chemical properties of molasses. When temperature rises over 40.5 degree C, destruction of structure in sugar occurs, which results in losing the feeding property of molasses. There is also a safety concern that a rise in temperature can lead to a rise in storage tank pressure leading to an explosion of the tank. 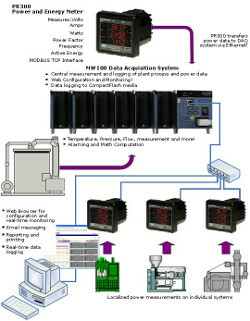 Temperature and pressure monitoring in tank jungles, three vertical monitoring points. This technical white paper will discuss Yokogawa's CENTUM VP DCS (Distributed Control System) product, hereafter referred to as "CENTUM VP", and the extent of its compliance with Part 11 of Title 21 of the Code of Federal Regulations, (21 CFR Part 11), the Electronic Records / Electronic Signatures Rule. Sugar and alcohol market are increasing, due humanity needs to find alternatives for fossil fuels dependence. Brazil joins climactic and technologic features to place itself at the forefront of this industry. This document describes the operation and data flow of the Yokogawa Print Wave software using the DX-P Reporter. 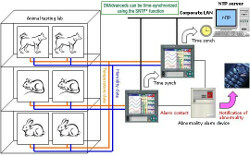 It will provide a detailed explanation of the Advanced Alarm Reporter functions. The functions described in this paper were first released in Print Wave version 5.5.